Sometimes, it seems as if compassion is in short supply. National Home Care and Hospice Month in November allows us to thank those angels of mercy who tirelessly help sick people cope, help the elderly to age in place, and provide loving spaces for people at life’s end. Many home care workers barely make enough money to live on, yet they selflessly travel miles to ensure patients’ houses are cleaned and meals are prepared. Those who work in hospices are committed to helping patients end their lives in dignity. So, thank a home care or hospice worker this month. The Hospice Action Network's digital Legislative Action Center created an informational video series entitled “Basics of Hospice,” which reached an online audience of 1.5 million people. "The New England Journal of Medicine” published a study that cited patients with non-small-cell-lung cancer as possibly living longer in hospice and palliative care. The U.S. Postal Service honored hospice care with a commemorative stamp. Congress' Tax Equity and Fiscal Responsibility Act of 1982 included a provision creating a Medicare hospice benefit. “On Death and Dying," a book written by Dr. Elisabeth Kubler-Ross, identified five stages through which many terminally ill patients progress. The book not only became a bestseller, but it also launched a movement towards giving patients more decision-making concerning their final care. Throughout November, we spend time thinking of others who are seriously ill, homebound, or living with a disability. National Home Care and Hospice Month is a time to spread a little joy by bringing some flowers or even playing a card game with someone whose spirits may need a lift. Show some love to people who demonstrate commitment, diligence, and caring every single day. Your gift can be a lunch date, or if you know a care worker who doesn't have a car, offer to give them a ride to and from work for a day. Your thoughtfulness will matter in a very big way. It's shocking to note that for all the work that home care and hospice workers do, many get by only on minimum wage. According to the U.S. Bureau of Labor Statistics, average wages for home health aides is just over $10 an hour. On the high end, salaries average out to only $14.20 an hour. Home care is less expensive than other forms of care, including residential treatment facilities and hospitals. Over 2 million home health workers deliver care to 12 million Americans annually. Over a million people living with some stage of a terminal illness receive hospice care annually, according to the National Hospice and Palliative Care Organization. The term “hospice” has the same Latin root as the word “hospitality." Ninety percent of Americans prefer to age in place, and home care is the optimal method of health care delivery among the disabled, elderly, and chronically ill. 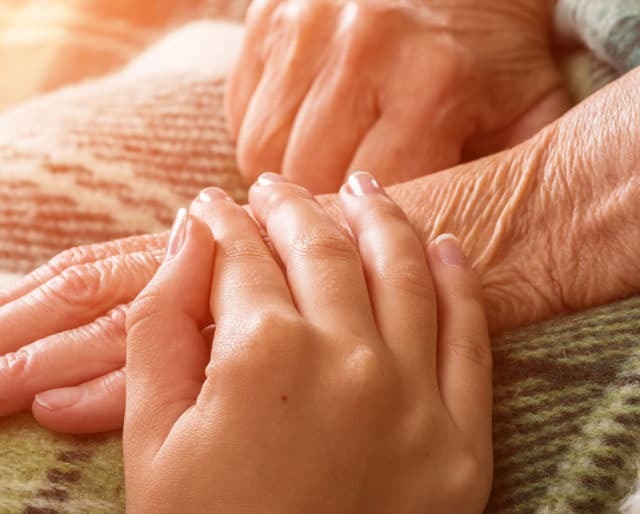 The concept of hospice as a respite for the terminally ill dates back to medieval times when travelers on pilgrimages or long journeys found a hospice as a safe shelter for rest, complete with a hearty meal and good cheer. Today, hospice care provides comfortable end-stage care to patients who want to remain at home or be in familiar surroundings. During National Home Care and Hospice Month, we honor the millions of nurses, home care aides, therapists, and social workers who tend to patients during serious illnesses, or those who are in the last stages of life. Home care and hospices allow patients to live their lives on their own terms and to end them with dignity. National Home Care and Hospice Month highlights not only the healing work of home caregivers and hospice workers, but also reminds our country why hospice and home care are so important to patients' well-being. Elderly people prefer familiar settings and locations because it gives them a sense of community. Being at home is liberating for people because they aren't heavily regimented as in nursing homes or hospitals. On the practical level, there's less risk of infection with home care. Plus, most of the workers who deliver care are specially-trained professionals who focus on aspects of healing rather than on the specter of dying. As Baby Boomers age, the demand for quality, empathetic residential care will continue to climb. Luckily, home care and hospice systems are working to find ways to keep patients connected with their doctors, social workers and home care workers — using innovative technology that costs less than traditional systems. Telehealth systems allow patients to discuss issues with their caregivers via Skype, saving both time and money. Additionally, both Medicaid and Medicare cover home care and hospice treatment, which provides patients with a loving quality of life that keeps families together and supported during challenging times.